Pain Physicians NY (Brooklyn, NY) nerve specialists and doctors are effectively treat Complex Regional Pain Syndrome (CRPS). If disease is not diagnosed at its early stages and not treated on time, it can progress and become severe leading to atrophy and tissue wasting. Brooklyn Pain Physicians are internationally recognized as one of the best nerve pain management specialists and doctors in Brooklyn, NYC. Complex regional pain syndrome is not a common type of chronic pain. It mostly occurs in a leg or an arm. CRPS usually results from an injury or a stroke and the pain is severe. The causes of the pain are still not very clear but the pain can be catered if it is diagnosed and treated early on time. The chances of improvement and pain relieve are higher in these cases. 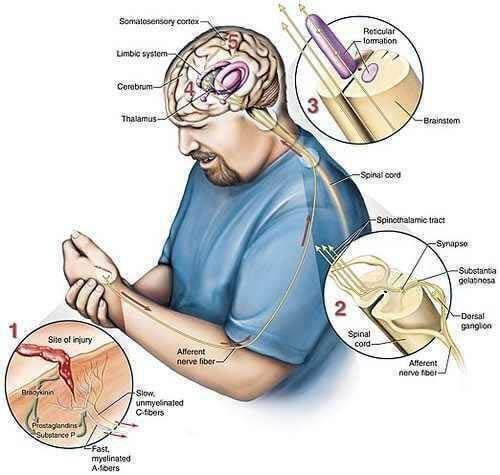 What are the causes of Complex Regional Pain Syndrome? The complex regional pain syndrome can occur after an injury or illness which indirectly affected the nerve. Injuries are the most common cause of CRPS. Another cause could be a rare nerve injury in which the nerve is affected directly. Most of the time the syndrome affects people who have just suffered from a crash injury, fracture of severe accident affecting the leg or the arm. There could be other traumas like heart attack or strokes that may initiate this kind of pain. However, it is still not known why these kind of injuries result in a complex regional pain syndrome. Researchers do agree that they are just a few causes of the disease. What are the signs and symptoms of Complex Regional Pain Syndrome? There are various signs and symptoms of this kind of pain which include continuous burning or extreme pain in the affected leg or arm, swelling of the hand or foot, sensitivity to heat or cold, continuous change in the temperature of the body, etc. The symptoms could also include a change in the skin color or texture, a change in the hair or nail growth and even a muscle weakness, muscle spasm, muscle atrophy as well as joint stiffness, swelling and a joint damage. The signs and symptoms vary regarding different patients and the intensity of the disease. The signs and symptoms of CRPS also vary and may change over the time. Mostly the pain, swelling and redness are present in the beginning as well as a hypersensitivity to cold or heat. However, as the disease progresses and the condition become irreversible, the skin color and texture changes along with the temperature of the body occur. The nails and the hair growth are also affected in severe cases of CRPS. If the disease is not diagnosed at its early stages and not treated on time, it can progress and become severe leading also to atrophy and tissue wasting. It is due to the fact that if the patient is not able to move his/her leg or arm, the muscles start deteriorating after a certain amount of time. Even if the muscles start getting weaker it could be a severe problem for the patient. In addition to this the patient may also suffer from tightening of the muscles. It could lead towards a situation in which the hand, arm or leg of the patient gets fixed in a certain position and he/she is not able to move it from that particular position any more. It is better to visit a doctor as soon as possible if you think you are suffering from this particular syndrome because the price of a late diagnose could be extremely high. It is because of the fact that the complications are way too dangerous as the patient can lose the movement of his/her leg or arm if it is not treated correctly, once the diagnosis is made. The most advanced pain management center, Brooklyn pain management doctors and specialists at Pain Physicians NY offer unique, individualized approach to manage your nerve pain. We are using the most effective pain management and treatment options utilizing the latest technologies available in USA.